Stairlifts: Stairlifts Ireland. Stairlifts Limerick. Stairlifts Cork & Stairlifts Galway too! Stairlifts Ireland. Stairlifts Limerick. Stairlifts Cork & Stairlifts Galway too! Ireland is a magical country with 26 counties in all. The county of Limerick is one of the many beautiful places in the isle and has Irelands third biggest city of Limerick which is the 4th most populated after Dublin, Cork and Galway - all areas served by your local stairlifts firm. The city sits on the River Shannon and was originally founded by marauding Vikings settling near the river in the 9th Century. It is part of the wider Shannon region that includes Limerick, Clare, Tipperary and Kerry. Because of its position in the region between the wider counties and being an early port and trading centre it has prospered over the time to become what it has today. 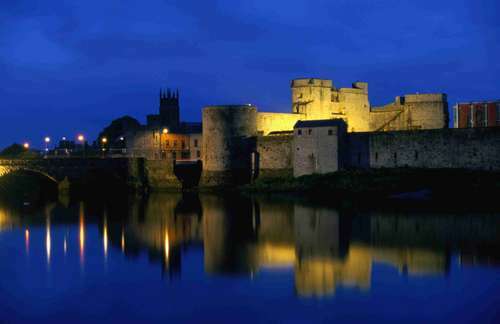 Limerick is famous for its medieval precinct where King John’s Castle (pictured) can be found. It's one of the best Norman re-designs in Ireland along with St.Marys Cathedral. King John also re-modelled many other castles including one in Nottingham England which has England's oldest pub in its basement – Don't believe me - see here. It is reputed that the origin of the poetry-like verse called a Limerick comes from the town where wandering entertainers in Medieval times would compete for the crowds attention. How about entering our Limerick competition? Compose a Limerick and comment on the blog below with it. 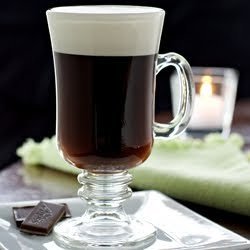 For each entry we get we will donate 10 Euro's to Cancer Research, a very worthwhile charity. Get your thinking caps on and help Cancer Research. The county is particularly strong in sports like Gaelic Football and Rugby. In fact Limerick teams have won 13 out of 19 annual All Ireland Rugby League championships. You can watch a game at Limerick city's Thomond Park Stadium, which is home to the successful Munster Rugby team. It has been announced that for 2011 Limerick is the European Capital of Sport. Famous faces from Limerick include Richard Harris, actor. Richard James aka Aphex Twin, recording artist. Terry Wogan, broadcaster. Bill Whelan, musician and composer of Riverdance. I knew an old lady from Cork, who struggled on stairs but could talk. I’m 80 she cried, ‘and not leaving my home´ so she spoke to a friend in Athlone. ´Mary´ she was told, ´breathe in and be bold’ – just phone Keith & Ann.. You´ll stay in ´your home till you’re old.